John Singer Sargent (January 12, 1856 – April 14, 1925) was an American portrait painter who portrayed the luxury of the late nineteenth-century and early twentieth-century society. 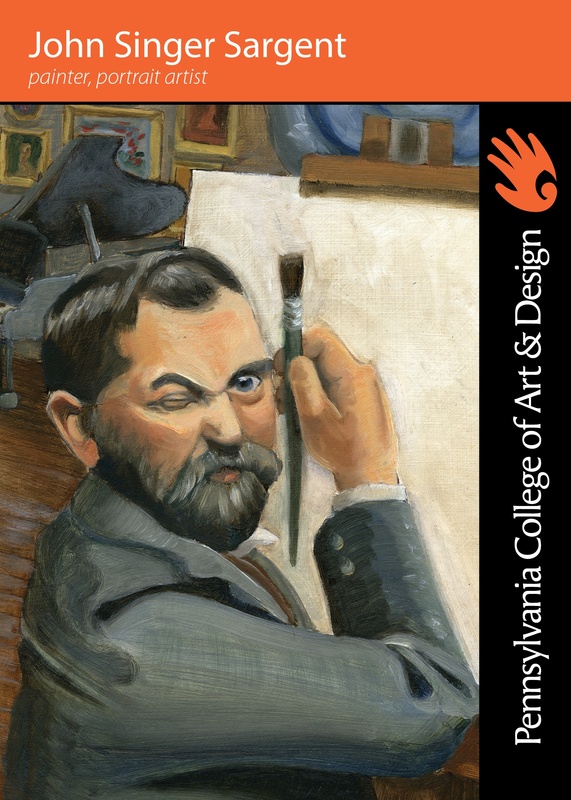 During his prolific career, he created roughly 900 oil paintings and more than 2,000 watercolors, as well as numerous sketches and charcoal drawings. His work was characterized by ability, especially his skill in drawing with a brush. His work garnered great admiration as well as criticism. Sargent traveled to Spain, where he studied the work of Velázquez, who he admired. Like Velázquez, Sargent’s portraits reveal the individuality and personality of the sitters. His parents were American expatriates, living in Europe, and took early notice of his talent. He studied first with French portrait artist Carolus-Duran, and in Paris at the École des Beaux-Arts. Sargent was accomplished in art, music literature and languages and excellent command of French and his artistic talent made him popular with his clients. In the 1890s, he was commissioned an average of 14 times per year, earning about $5,000 per portrait, roughly 130,000 in today’s dollars. He worked alone, handling canvass preparation, shipping, and documentation and entertaining his clients, in addition to painting. While he occasionally traveled to the United States to paint his clients, including U.S. presidents Theodore Roosevelt and Woodrow Wilson, frequently wealthy Americans traveled to London, where he resided, for the honor of sitting for him. Sargent's early enthusiasm was for landscapes, not portraiture. However, portrait painting, rather than landscapes, was a more stable to earn a living, as there were more demand. Later in life he focused on again on landscapes and painting en plein air. Sargent has recently been the subject of large-scale exhibitions in major museums, including at the Whitney Museum of American Art, the Museum of Fine Arts, Boston, the National Gallery of Art Washington, and the National Gallery, London. 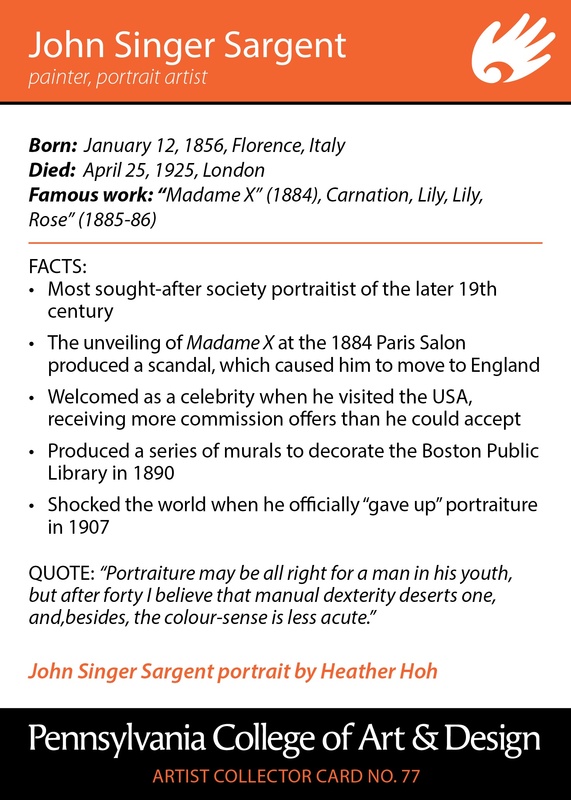 Portrait of John Singer Sargent by Heather Hoh.